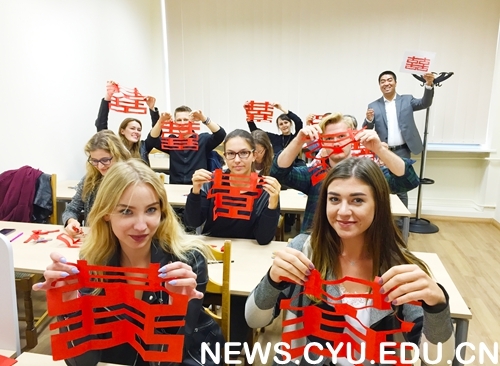 On September 27, 2016, the Confucius Institute Day, as well as its first anniversary of being established, the Confucius Institute at University of Gdańsk held various activities with the theme of “Celebration for Anniversary, Love for Confucius Institute”. Mr. Peter Kowalczyk, Deputy Mayor of Gdańsk was also present. Hundreds of people attended the event including the university leaderships, presidents from all teaching locations, teachers and students, and people from all walks of life. Mr. Jozef Wlodarski, the Polish President of the Confucius Institute delivered a speech in which he expressed his best wishes for the Institute’s future development. Professor Wulan, the Institute’s Polish Executive President introduced via video the development status and future plans of the Institute and summarized the work and achievements made in “Chinese bridge” Competitions, Hanyu Shuiping Kaosh (HSK), scholarship applications and so on. The activities included items of tea, calligraphy, paper cutting, shuttlecock and etc., which were all actively participated by the guests, teachers and students. 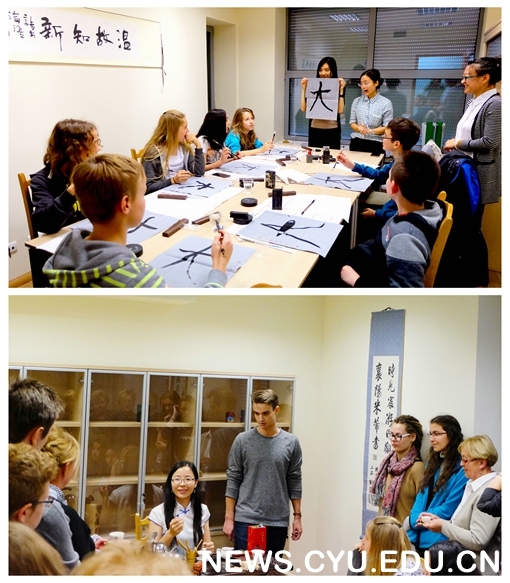 By taking part in these activities, they fully experienced and appreciated the charm of Chinese cultures. Apart from these activities, they also learned to make dumplings, steamed stuffed buns, spring rolls and tasted delicious Chinese foods.